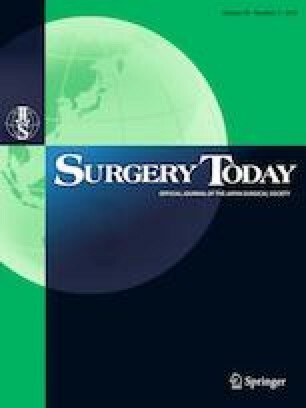 Double tract reconstruction (DT) after proximal gastrectomy (PG) is considered beneficial for postoperative nutrition status by preserving the physiological passage of food. We conducted this study to assess postoperative nutrition status based on food passage after this operation. The subjects of this retrospective study were 63 patients who underwent PG with DT. The patients were divided into two groups according to whether they had postoperative malnutrition (PM) 1 year postoperatively (PM group) or not (non-PM group). PM was defined by both weight loss > 10% and a low body mass index of < 20 or < 22 kg/m2 for patients younger and older than 70 years, respectively. We then evaluated the predictors of PM. There were 33 patients in the PM group. These patients were predominantly female (p < 0.01) and lacked physiological passage through the remnant stomach (PRS) on postoperative fluoroscopy (defined as non-PRS, p = 0.03). Multivariate logistic regression analysis revealed that female gender and non-PRS status were independent predictors of PM (odds ratio [95% CI]; 7.42 [1.33–41.4]; p = 0.02, 6.77 [1.01–45.4]; p = 0.04, respectively). Preservation of the physiological passage of food through the remnant stomach prevents PM after PG with DT. The online version of this article ( https://doi.org/10.1007/s00595-019-01799-5) contains supplementary material, which is available to authorized users. We thank Dr. Masaaki Iwatsuki for his help with all aspects of this study; Dr. Yuki Koga, Dr. Tasuku Toihata, Dr. Yuki Kiyozumi, and Dr. Daisuke Kuroda for their assistance with acquisition of data; Dr. Hiroshi Sawayama, Dr. Yukiharu Hiyoshi, Dr. Yoshifumi Baba, Dr. Yuji Miyamoto, Dr. Naoya Yoshida, and Prof. Hideo Baba for revising the manuscript. YK and IM were responsible for the study conception and design; YK, KY, TT, KY, and KD for the acquisition of data; YK and IM for the analysis and interpretation of data; YK for the drafting of the manuscript; SH, HY, BY, MY, YN, and BH for critical revision of the manuscript. All procedures performed in studies involving human participants were in accordance with the ethical standards of the institutional and/or national research committee and with the 1964 Helsinki Declaration and its later amendments or comparable ethical standards. Ethical approval was obtained in all participating centers. Informed consent was obtained from all individual participants included in the study prior to recruitment. This article does not contain any studies with animals performed by any of the authors.